September 7, 1944 Earl Manigault, street basketball player known as “The Goat”, was born in Charleston, South Carolina and raised in Harlem, New York. 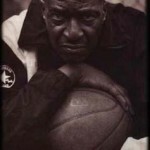 Manigault grew up playing basketball and set the New York City junior high school record by scoring 57 points in a game in the late 1950s. 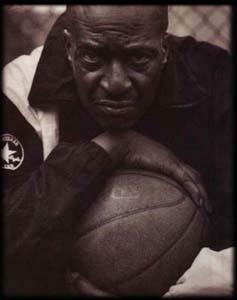 Manigault was famous on the street of New York for his signature move, the double dunk. He would dunk the ball, catch it with his left hand, switch it to his right hand and jam it through again, all done while still in the air on a single jump, and without hanging on the rim. Unfortunately, personal problems plagued Manigault and he never played on the college or professional level. He did play on the streets with some of the best players of his time, including Earl Monroe, Connie Hawkins, and Kareem Abdul-Jabbar. In fact, when Abdul-Jabbar was asked who was the greatest player he had played with or against, he answered “that would have to be The Goat”. Much of Manigault’s later years were spent working with kids on the court, including his “Walk Away From Drugs” tournament to prevent them from making the same mistakes he had made. In 1996, HBO aired a made for television movie about Manigault’s life entitled “Rebound: The Legend of Earl “The Goat” Manigault”. Manigault died May 15, 1998.